In music, a single or record single is a type of release, typically a song recording of fewer tracks than an LP record, an album or an EP record. This can be released for sale to the public in a variety of different formats. In most cases, a single is a song that is released separately from an album, although it usually also appears on an album. Typically, these are the songs from albums that are released separately for promotional uses such as digital download or commercial radio airplay and are expected to be the most popular. In other cases a recording released as a single may not appear on an album. Despite being referred to as a single, singles can include up to as many as three tracks on them. The biggest digital music distributor, iTunes, accepts as many as three tracks less than ten minutes each as a single, as well as popular music player Spotify also following in this trend. Any more than three tracks on a musical release or longer than thirty minutes in total running time is commonly classed as an Extended Play (EP). The basic specifications of the music single were made in the late 19th century, when the gramophone record began to supersede phonograph cylinders in commercially produced musical recordings. Gramophone discs were manufactured with a range of playback speeds (from 16 rpm to 78 rpm) and in several sizes (including 12-inch/30 cm). By about 1910, however, the 10-inch (25 cm), 78 rpm shellac disc had become the most commonly used format. With these factors applied to the 10-inch format, songwriters and performers increasingly tailored their output to fit the new medium. The 3-minute single remained the standard into the 1960s, when the availability of microgroove recording and improved mastering techniques enabled recording artists to increase the duration of their recorded songs. The breakthrough came with Bob Dylan's "Like a Rolling Stone". Although CBS tried to make the record more "radio friendly" by cutting the performance in half and spreading it over both sides of the vinyl, both Dylan and his fans demanded that the full six-minute take be placed on one side and that radio stations play the song in its entirety. Singles have been issued in various formats, including 7-inch (18 cm), 10-inch (25 cm), and 12-inch (30 cm) vinyl discs (usually playing at 45 rpm); 10-inch (25-cm) shellac discs (playing at 78 rpm); cassette, 8 and 12 cm (3- and 5-inch) CD singles and 7-inch (18 cm) plastic flexi discs. Other, less common, formats include singles on digital compact cassette, DVD, and LD, as well as many non-standard sizes of vinyl disc (5-inch/12 cm, 8-inch/20 cm, etc.). Some artist release singles on records, a trend more common in musical subcultures. The 7-inch 45 rpm record was released 31 March 1949 by RCA Victor as a smaller, more durable and higher-fidelity replacement for the 78 rpm shellac discs. 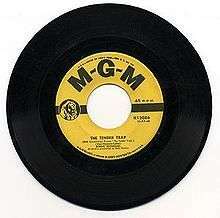 The first 45 rpm records were monaural, with recordings on both sides of the disc. As stereo recordings became popular in the 1960s, almost all 45 rpm records were produced in stereo by the early 1970s. Columbia, which had released the 33 ⅓ rpm 12-inch vinyl LP in June 1948, also released 33 ⅓ rpm 7-inch vinyl singles March 1949 but they were soon eclipsed by the RCA Victor 45. The first 45 rpm record created was "PeeWee the Piccolo" RCA Victor 47-0146 pressed 7 December 1948 at the Sherman Avenue plant in Indianapolis, R.O. Price, plant manager. The first release of the 45 came in seven translucent colors, one for each type of music: dark blue 52-xxxx light classics series, light blue 51-xxxx international series, yellow 47-xxxx juvenile series, bright red (cerise) 50-xxxx blues/spiritual series, deep red 49-xxxx classical series, green (teal) 48-xxxx country series, and black 47 -xxxx popular series. A DVD single is a music single in the form of a DVD. The format was introduced in the late 1990s/early 2000s as a replacement for the VHS single. Although many record companies in the United States refused to issue CD singles, they readily issued DVD singles, and some popular DVD singles include Kelly Clarkson's "A Moment Like This", Jessica Simpson's "With You", Beyoncé' "Crazy in Love" and Iron Maiden's "Satellite 15... The Final Frontier". The DVD single never really caught on in the U.S, but became very popular in other countries such as Japan. However, many popular acts in the U.S. release their albums with a bonus disc featuring music videos or live performances, and behind-the-scenes footage. In the UK where up to 3 physical formats are eligible for the chart, DVD singles are quite common (with the single available on DVD as well as CD and/or vinyl record). As with other single formats, DVD singles have a limited production run, often causing them to become collector's items. According to Recording Industry Association of America (RIAA), a music video single is defined as 1-2 songs per video OR under 15 minutes running time. In 2003, the first certified platinum and gold music DVD singles were certified by the RIAA. A DVD single with "Let Go" and "Sk8er Boi" by Avril Lavinge was certified platinum by the RIAA at this time, and a DVD single by Pink that had videos of "Family Portrait" and "Don't Get Me" were certified gold. In Australia, there is a set of children's cartoon DVDs known as DVD Singles, named so because they feature one episode of the cartoon. Since around 2003 in Japan, it has become very common for an artist's singles and albums to be released both in the CD format and the CD+DVD format. The DVD comes in the same case as the CD and most of the time, there is similar but different cover art to differentiate the two. An example is Ayumi Hamasaki's 2005 single "Fairyland". The CD+DVD format is more expensive (usually around ¥800 more for singles) and usually contains music videos, and sometimes a "making of" section or other bonus material. Japanese singer-songwriter Ayumi Hamasaki has been credited as the "creator of the CD+DVD format." Nowadays, the Japanese music conglomerate Hello! Project releases corresponding DVD singles for almost all of its CD single releases. The company calls them Single Vs. A Single V usually contains a music video for the title song plus several more of its versions and a making-of. The DVD singles are popular and chart in the generic Oricon DVD sales chart, due to non-existence of a separate DVD single ranking in Japan. In the United Kingdom, McFly released a DVD single for their song "Please, Please" in 2006. Madonna, "Music" - 5 September 2000. This was the first DVD single released by Warner Reprise Video. ↑ "Songs on records". wiseGEEK. Retrieved 27 May 2016. ↑ "Inside Track". Billboard. p. 74. Retrieved 10 June 2016. ↑ Christman, Ed (2007-09-09). "Music industry betting on 'ringle' format". Reuters. Retrieved 2008-05-21. ↑ "OCC test charts reveal likely effects of rule changes". Music Week. 2006-12-11. Archived from the original on 2011-08-18. Retrieved 2010-02-18. ↑ "Download Official UK Single Chart Rules - PDF". The Official Chart Company. 2009. Archived from the original (PDF) on 2011-08-18. ↑ "The Official UK Charts Company : Info pack from The Official UK Charts Company". Archived from the original (PDF) on 2011-08-18.